5 of the courts are floodlit. We are lucky to have a large clubhouse that was opened in 2007. 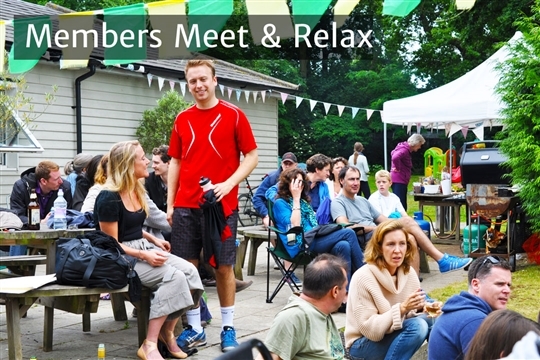 It is a fantastic place for members to meet and relax after play. The bar - we open the bar throughout the club tournament and on social occasions. The kitchen - for member use - but members, please keep it clean and tidy. The Function Room - a great space for members to use and the venue for classes, such as Pilates and Yoga. The club is situated in the most beautiful grounds, which teem with wildlife. There is a large lawned area, many species of mature trees and a 'wilderness' behind the clubhouse.